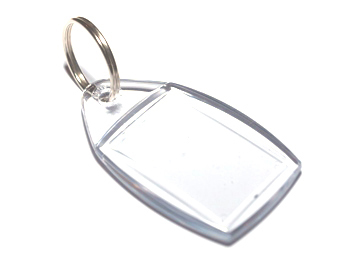 Keep your treasured family images with you at all times when you’re away from the house with our great acrylic keyrings. Display them on your fridge door with our L4 Fridge magnets. Supply us with your images and we’ll do the rest for you. Alternatively use them to promote your business…. Promotional Merchandise are articles used as cost effective marketing giveaways to promote your business, brand or event and we love them, particularly in the form of Keyrings and Fridge magnets. We have a few business customers that use them to promote their services to prospects and to existing customers as a convenient reminder of their contact details. We supply them with or without inserts and in bulk or smaller quantities, getting them directly from the manufacturers in bulk quantities so we can offer competitive prices. 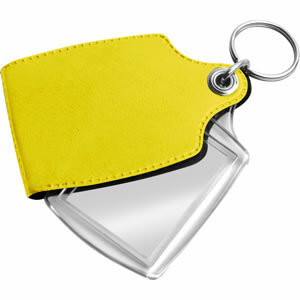 Durable plastic keyrings with a cover in smooth plastic cover. These have a photo included on each side and then permanently sealed. 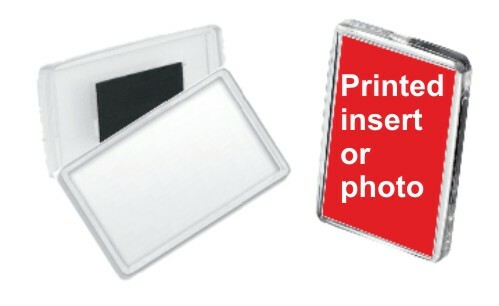 These are printed to photo quality from your original pictures/photos/logos/message, then sealed by us giving you a lasting gift or promotional item. Colours – black- white – red – blue – green – yellow. Picture size 45mm x 35mm. Please note prices don’t include postage. Durable plastic L4 fridgemagnet. These have a photo included on one side and then permanently sealed. These are printed to photo quality from your original pictures/photos/logos/message, then sealed by us giving you a lasting gift or promotional item. Picture size 70mm x 45mm. Please note prices don’t include postage.